A complete qigong flow routine to purify and nourish the Kidney and Bladder meridian. In Traditional Chinese Medicine, the kidneys and bladder resonate with the water element and the season of WINTER. Happy kidneys are relaxed kidneys and their state of vitality is the key to our health and longevity. If you feel tired, and would like to have more energy and vitality Happy Kidney Qigong is made for you! 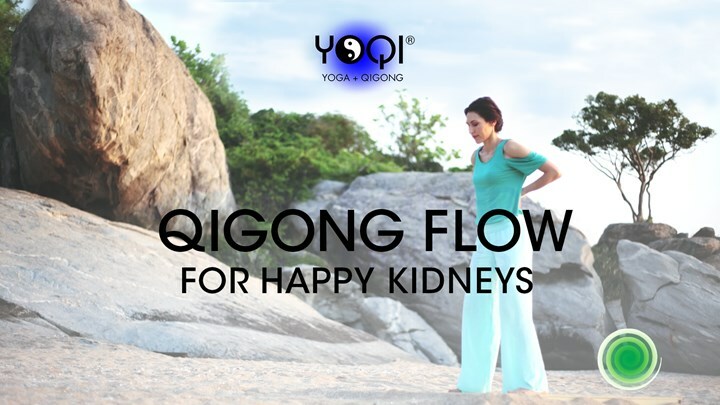 In this routine we use the qigong principles of dynamic relaxation and effortless flow to embody the water element and make the kidneys relaxed and happy. Shot on the beautiful beach of Hua Hin, Thailand. NOTE: A monthly subscription gives you access to all of the videos in this Video on Demand library. New videos are added every month. You can cancel you subscription any time you wish.